Thank you for your interest in SITE Santa Fe. If you would like to bring your work to the attention of SITE’s curatorial staff you may do so by sending information via email to info@sitesantafe.org, to the attention of Brandee Caoba, Curatorial Assistant. Please include a link to your website, your artist statement and a brief CV. SITE Santa Fe is no longer accepting materials through the US postal service and cannot assume responsibility for or guarantee the return of any materials that are submitted through the post. SITE’s curatorial staff reviews unsolicited materials from artists twice a year. Due to the number of submissions we receive it is not always possible to reply to every submission. If there is interest from a curator, our staff will contact you about further steps. 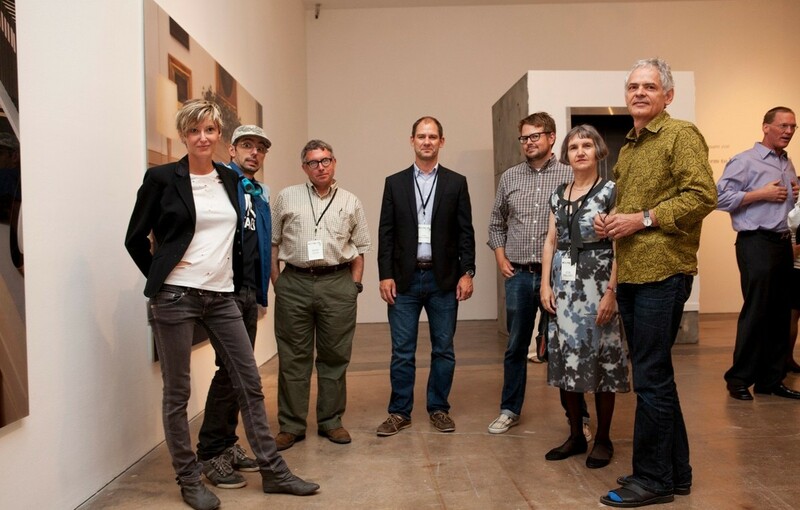 SITE Santa Fe’s exhibitions are curated shows, planned years in advance to present our viewers with diverse exhibitions and programs. Therefore there is no formal submission process. We encourage you to visit SITE and/or review our website and online gallery tours to familiarize yourself with our exhibition program to determine the appropriateness of your proposal. Thank you for your interest in SITE Santa Fe. SPREAD is a community dinner that funds artists’ projects and creative initiatives. We encourage all artists, thinkers and creative people at any stage in their career to apply. We seek to fund projects in all disciplines including performances, publications, public projects, interactive pieces, and studio-based work. For more information about SPREAD, please visit www.spreadsantafe.com.